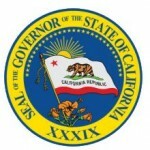 Question: What are the most important aspects of California’s Homeowner Bill of Rights? Tenant Rights- The purchaser of a foreclosed home is required to give a tenant at least 90 days before instituting eviction proceedings. The owner is obliged to honor the lease in case the tenant has a fixed-term lease that became active before title transfer during foreclosure. This notice, however, may not apply if the owner proves that exceptions intended to prevent a fraudulent lease apply. Enforceability- Borrowers now have the authority to seek redress in case of material violations of the new foreclosure process provisions. A borrower will be entitled to damages after a sale and injunctive relief prior to a foreclosure. Verification of Documents- Lenders who record and file unverified documents will be charged a penalty of $7,500 per loan in an action instituted by the civil prosecutor. Such lenders may also face litigation from the Departments of Corporations, Financial Institutions and Real Estate. A Guaranteed Single Point of Contact- Under this bill of rights, homeowners are guaranteed a single point of contact, a specified team at the bank or person who is familiar with the facts of their case as they try to maintain their homes. 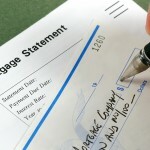 This makes access to paperwork and an application for a mortgage loan modification very easy. Dual Track Foreclosure Restriction- The California Homeowner Bill of Rights restricts mortgage servicers from starting the process of foreclosure when the homeowner in question is seeking a loan modification. If a homeowner has applied for loan modification, the foreclosure process will not proceed until the application has been reviewed. Blight Curbing Tools- The bill has given receivers and local governments more tools to enable them to fight the blight caused by vacant homes in the neighborhood. This is aimed at ensuring that foreclosed homeowners are compelled to pay for the required upkeep in case they violate provisions of the mortgage code. Mortgage Fraud Prosecution Tools- The bill has given the Attorney General the power to prosecute complex mortgage related crimes between 1 and 3 years. The AG’s office will be using a grand jury to investigate, prosecute and indict financial crime perpetrators.